How much is Mikhail Khodorkovsky Worth? 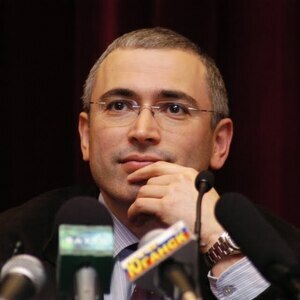 Mikhail Khodorkovsky net worth: Mikhail Khodorkovsky is a Russian businessman and philanthropist who has a net worth of $100 million dollars. Mikhail Khodorkovsky was born in Moscow, Russian SFSR, Soviet Union, and went on to graduate from Mendeleev Moscow Institute of Chemistry and Technology, where he was the head of the Communist Youth League. Using his connections within the Communist Youth League (Komsomol), he took advantage of the shift to free market business structures and opened his own business in the mid-80s. He later expanded his business, a café, to become the "Center for Scientific and Technical Creativity of the Youth". He used the company to buy and resell computers, among other items. From there, he went on to found Bank Menatap in 1989. The private bank quickly became very successful. He became Chairman of the Investment Promotion Fund in 1992, and Deputy Minister of Fuel and Energy of Russia the following year. His import/export business currently does almost $10 million in business per year. Mikhail Khodorkovsky was arrested in October of 2003 on charges of fraud and tax evasion. 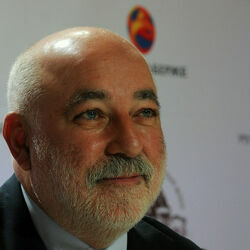 At the time, Mikhail was the richest person in Russia with a personal net worth of $15 billion. Soon after, Vladimir Putin then ordered that shares of his company Yukus be frozen on Russian stock exchanges. In May 2005, he was found guilty and sentenced to 9 years in prison. He was then further charged with money laundering and embezzlement. Mikhail Khodorkovsky was pardoned by Putin in December 2013 after spending more than 10 years in a Siberian jail. Upon his release, Mikhail was asked about the status of his former wealth, to which he responded "I have no idea about my financial situation". Today Yukos, which was at one time one of the largest oil companies in the world, is bankrupt. 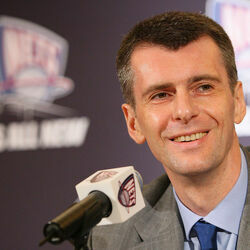 Sale of several company assets could bring in an estimated $1 billion to stakeholders including Mikhail. One Minute He's The Richest Person In Russia. The Next He's Locked In A Siberian Prison For 10 Years. Real Life Nightmare.